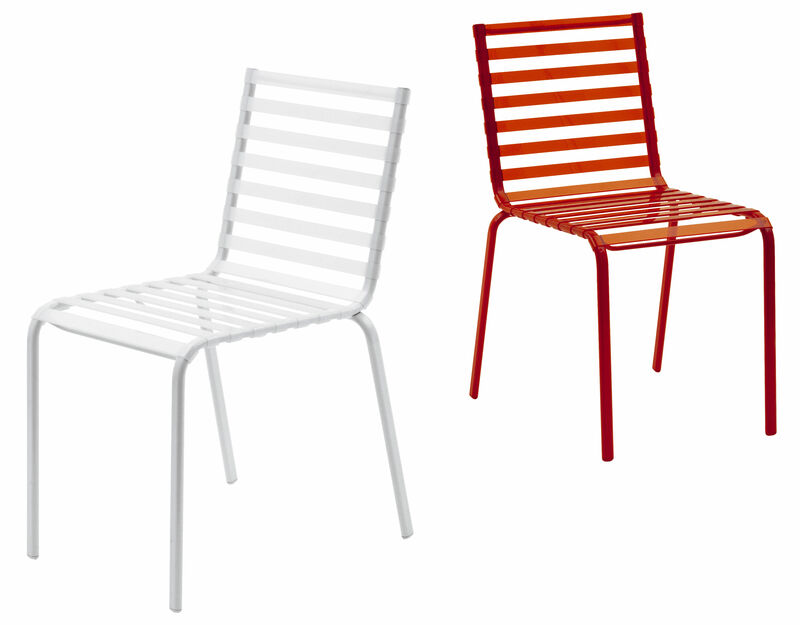 Stripped collection of Ronan and Erwan Bouroullec for Magis is a complete line of furniture for the exterior or the interior: chairs, high and low armchairs, stools, long chairs. Presented to the parlor of Milan 2004, this collection did big noise for she does not resemble no other. The design of the brothers Bouroullec is essential and to against running method phenomena. 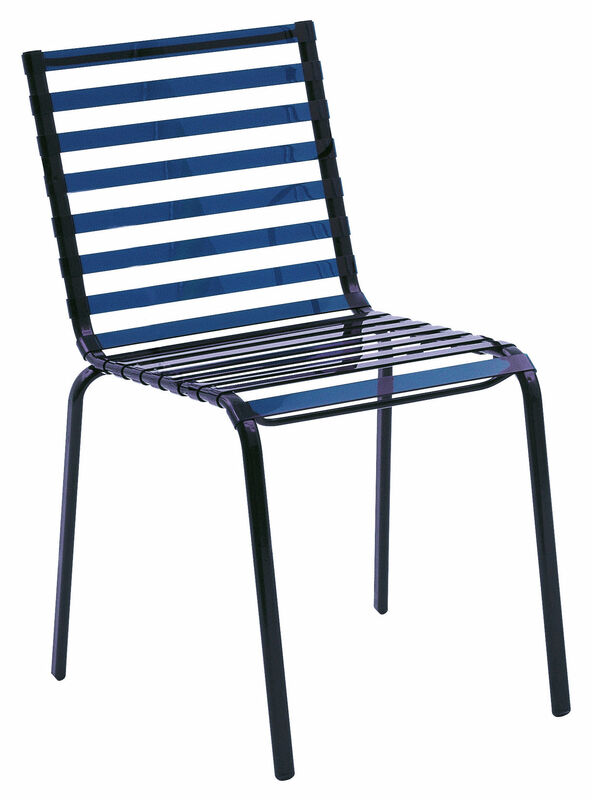 This superbly drawn chair has a line at once épurée and elegant. The structure is in varnished steel in of very beautiful coloris: blue, green, orange and white. The sat and the file are composed from lath in tinged polyamide that have a superb transparency. The color of the lath is in the same tonalité that the one of the structure but what's more clear. The all offer an excellent comforts. One loves!